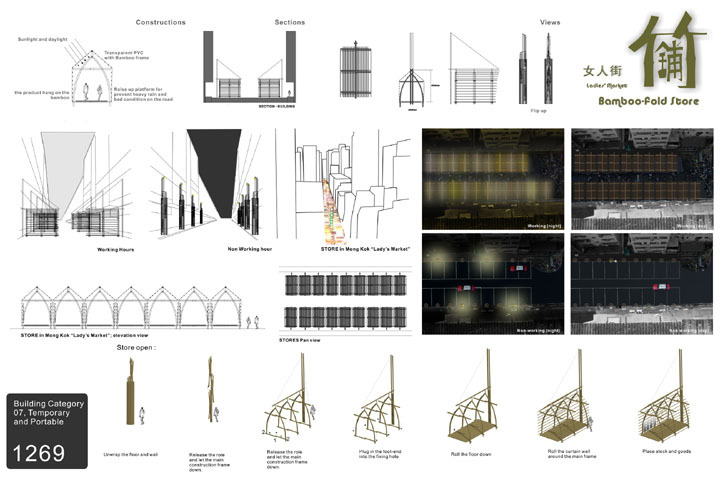 Designed for use in the Hong Kong Ladies Market, these simple, portable bamboo structures are intended to replace the metal structures currently being used. 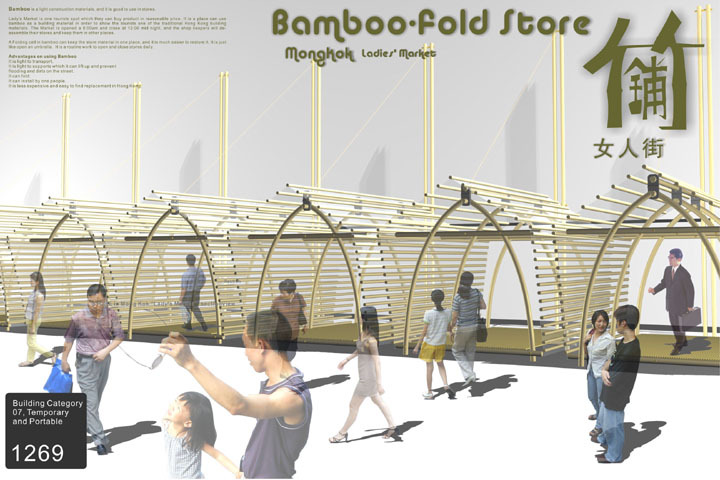 The bamboo is lightweight and the kiosks can be easily folded up and put away at the end of the day, as shopkeepers already do with their metal kiosks. Bamboo also has the advantage of being inexpensive and easy to replace.